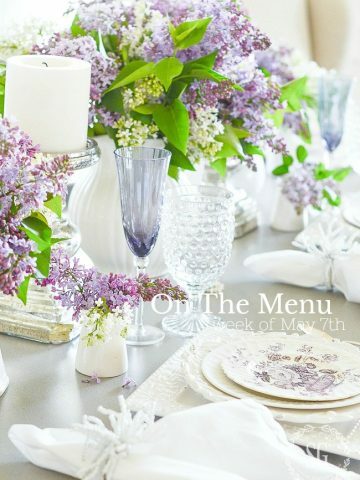 One of my favorite things about menu planning is perusing lots of blogs and cookbooks for great new recipes! Oh, that is so much fun. I like to try new foods and ways to cook them. 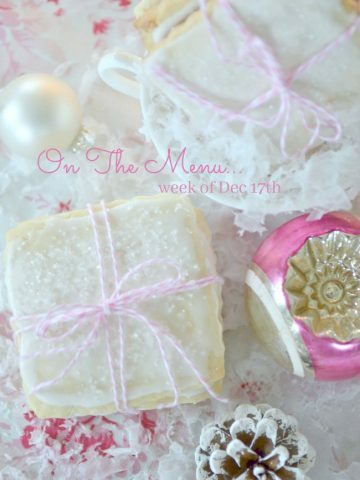 This week we have company coming so my recipes will be filled with added love! I hope you find something on the menu that you want to try! Since I have the family home I’m making brunch with my kid’s favorites! I make the casserole for Christmas but they love it so much I’ll be making it for brunch too! 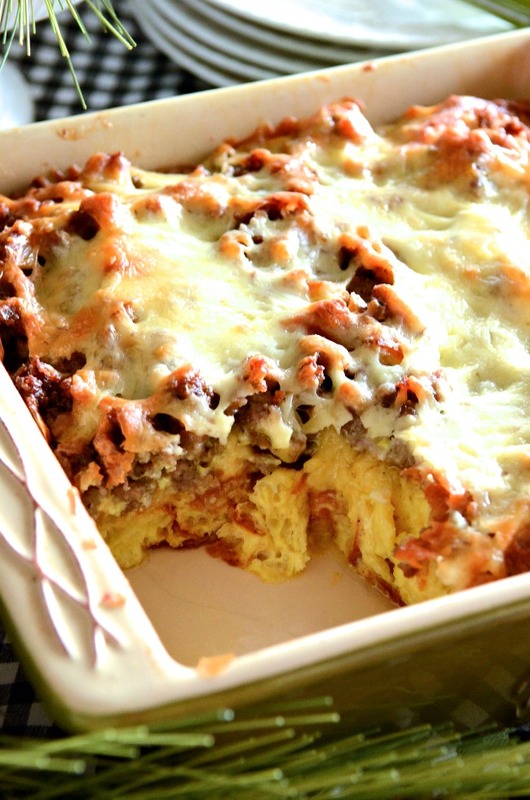 If you try one thing this week it should be breakfast casserole… and it is fabulous for dinner! I love red snapper! And blackening it makes it even better. What a great recipe I found at Yummy Fixins. I’m using a little seafood stock in place of crawfish. 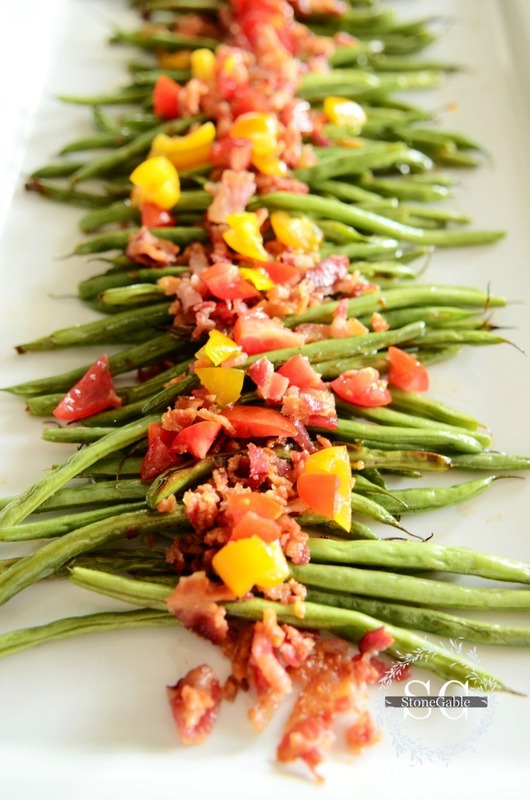 If you have an afternoon at home, this is such an easy to make dinner! And it is company worthy. I’ll be making this Chuck Roast from THE WICKED NOODLE for the first time and I can’t wait!!! LOVE the video! 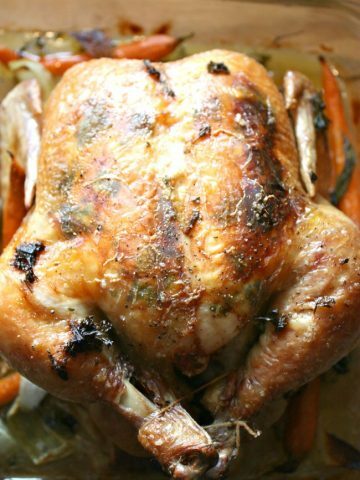 One of my go-to food blogs is THE RECIPE CRITIC. Everything I make from Alyssa is scrumptious. 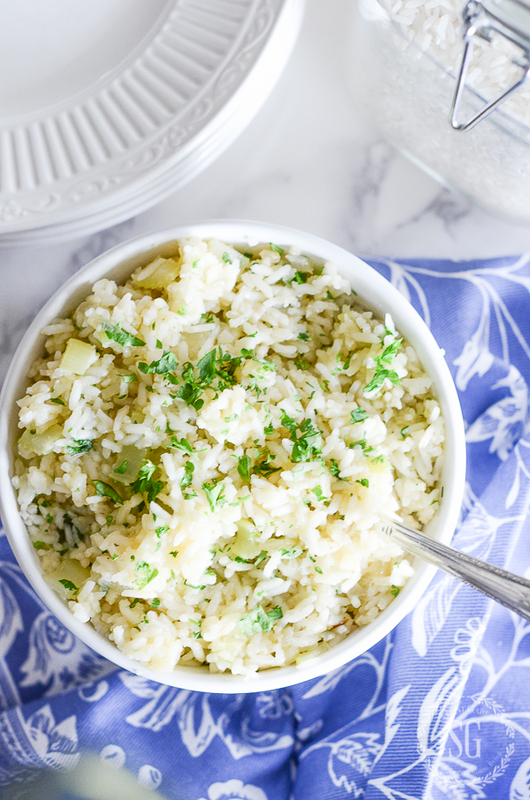 This recipe is no exception! 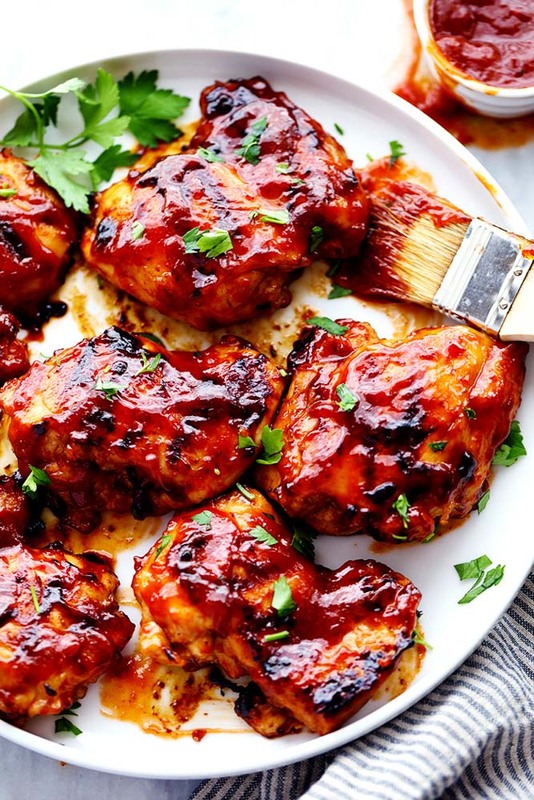 Chicken thighs are my very favorite part of the chicken! YUM! I have a “sous vide”! It is the best way to cook PERFECT meat and seafood! A sous vide (sue-veed’) is a heating element that heats and circulates water in a pot and cooks meats etc that are placed in a plastic bag and attached to the side of the pot. It cooks meat to a perfect temperature throughout and holds it until you need it. This is one kitchen appliance you just might want to look into! See my sous vide HERE. We are huge meat eaters here at StoneGable but I am trying to cook fish or shell fish twice a week. The key for me is to fancy-it-up a little! 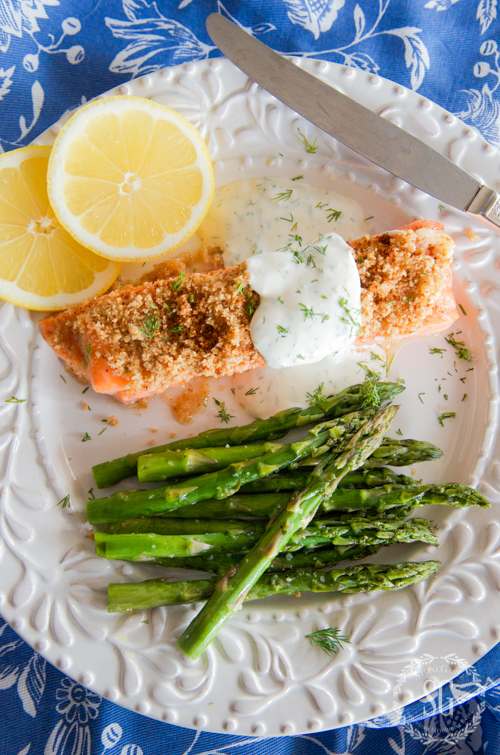 This mayo crusted salmon is scrumptious! This is a recipe to have in your recipe box! I think if I could have a last meal it would include a fabulous hamburger and movie popcorn! I come by this craving honestly. Both my mom and sister love hamburgers like I do! They have to be juicy and cooked to perfection! And must have a plethora of fixing on them too! I can’t wait for these mouth watering burgers! 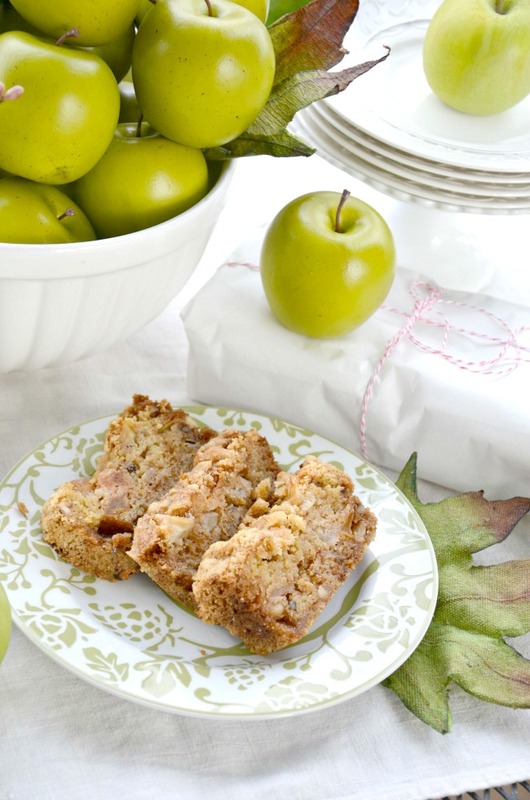 This is THE BEST, and let me repeat… THE BEST apple cake you will ever eat. Just make it once and you will be hooked. Give this a try! So glad I foundI found StoneGable on Pinterest! I’m going to enjoy this site all year! And Happy New Year to you too! WELCOME to the StoneGable family! I’m thrilled you found us! I have a similar apple cake recipe given to me by my mil many years ago. It calls for spices – cinnamon, nutmeg, cloves: 1/2 tsp. each. Do you ever add spices to your cake? Everything sounds delicious; you’ve got some great recipes as usual. 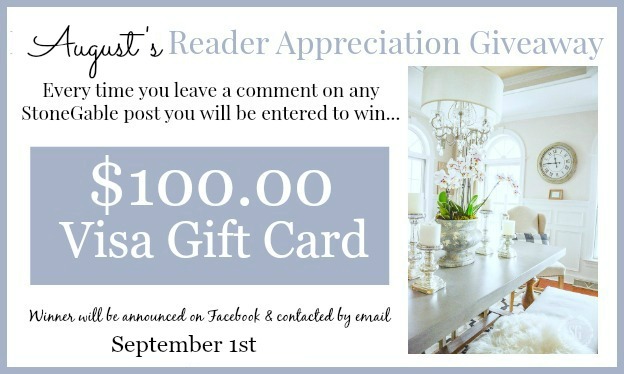 I need to eat breakfast first before reading your blog! Now I am even more hungry~ HA! My husband makes breakfast casserole for Christmas morning and it is a favorite tradition that has carried over to the family vacation at the beach! Thanks for sharing your version. Looks Yummy! I may have to try out some of these recipes…Thank you! I bake a very similar raw apple cake; mine calls for 8X8 pan, and has a caramel sauce. You’re right — it is soooo good. I’ve had it in my recipe collection for nearly 30 years. Funny, I’ve never served it with ice cream! Sounds delicious. Ooooo so much yummy goodness in one post! 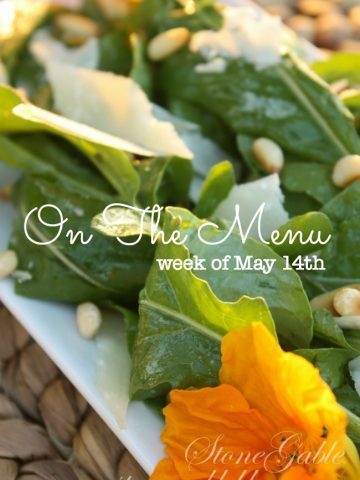 Thanks Yvonne for continuing to post your weekly menu it’s an inspiration for my meal planning for the week. I always look forward to the post. I love your menu planning. Everything looks delicious. I can’t wait to try some of these recipes. Your menu looks fantastic! The Raw Apple Cake would also be a good Fall dessert. You always share the best recipes! Thank you! I wish I liked to cook! Do you make deliveries??? The salmon and apple cake look especially tasty…the roast, too. Everything looks so yummy, you are so creative. So glad you are enjoying StoneGable! Apple cake looks delicious along with the salmon dinner. I will try these recipes and serve them to company. Thanks. Everything sounds so good. I’m going to read through the apple dessert again and pin for a dinner party in September. I saw the device in my Wms and Sonoma catalog and had no one to explain the device. Thank you for the great tutorial !! Now I think I’d need one too!!! Fr two people!! You share the most fabulous recipes! nani’s chicken has become a favorite! It’s one of my fav’s too! So glad you liked it! Thank you for that great raw apple cake recipe; will try that soon! Yvonne, I tried some of your recipes last week and they were amazing! This post is the most helpful for me in menu planning. Yummy!! Can not wait to try salmon. Thanks for sharing!! My Oh My all these recipes sounds amazing and look delicious. I’ve made the salmon before topped with mayo and added a few toasted almonds so delicious. 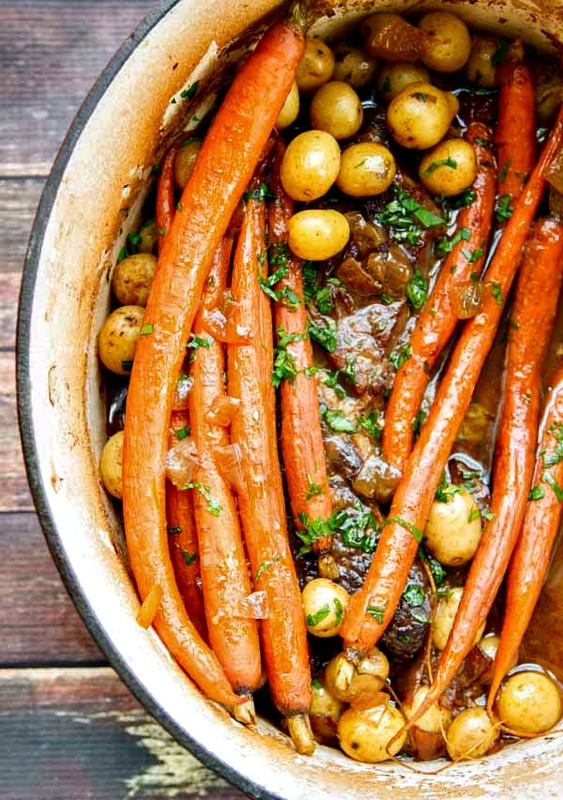 Chuck Roast are great to fix in a slow cooker they come out so tender and fall apart-no need for a knife, and not to mention the carrots and potatoes-YUM!!!! Your recipes are outstanding! Going to try the raw apple cake. Looks yummy! I just want to come spend the week! It all looks and sounds wonderful! Everything looks wonderful Yvonne!! Enjoy the time with your family. Really looks good and iam like you if love hamburgers….just had one ! All look delicious, some great recipes! Your menu sounds so yummy.